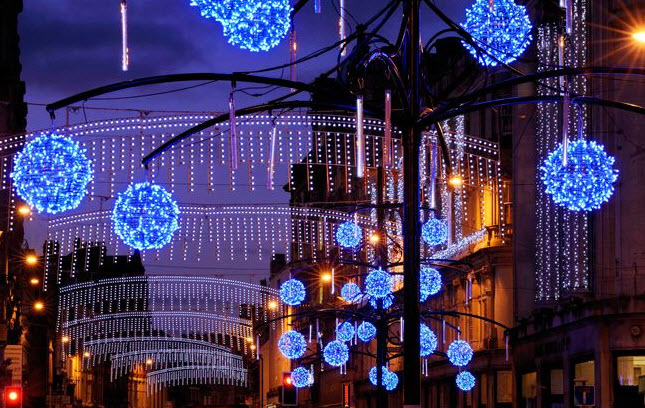 Festive Lighting sells commercial quality lighting products and also provides fully inclusive leasing and installation services for Local Authorities, Business Improvement Districts and Major Property owners. We can provide a complete package including design, acquisition and leasing, storage, installation and take down together with all necessary testing repair and refurbishment. The Hire Contract will need to be signed or underwritten by the Local Authority responsible for funding the scheme. Once the documentation is completed, all of the decorations are available for use in Year 1 and the cost is spread over the term of the Hire Contract. -Transport to and from the display site. -Any necessary routine repairs and refurbishment during the Hire Period. -Annual PAT Testing carried out on all motifs. -Safe storage at our premises throughout the year. Installation can be arranged if required with our team of preferred installers as part of any hire contract. This can be organised in conjunction with your Regional Account Manager who will also provide ongoing Project Management support throughout the installation and display period. -Hold comprehensive Public Liability Insurance and are CHAS & SafeContractor approved. -Comply with all relevant and up-to-date Safety Standards and Codes of Practice. -Can undertake a full infrastructure survey making recommendations for replacement, testing etc. -Fully qualified to complete Anchor Bolt Testing if required. We are well equipped to restore and care for your decorations saving money on costly replacements. -We can repair most types of motif, whether originally supplied by us or not. -Following repair we can arrange for delivery ready for your use in the next festive season. -You will only be invoiced for the work when the motifs are completed. -If repair is uneconomical or undesirable for safety reasons, we can advise you immediately so you have time to plan properly for next year. We offer a free, no obligation design service. Whether your requirement is for one bespoke sign or an entire scheme, we can offer suggestions and advice to help you achieve what you are looking for. From one off wall mounted motifs based on your logo to stunning ornate cross street features for your Diwali festival, we are well equipped to design something completely unique for you. 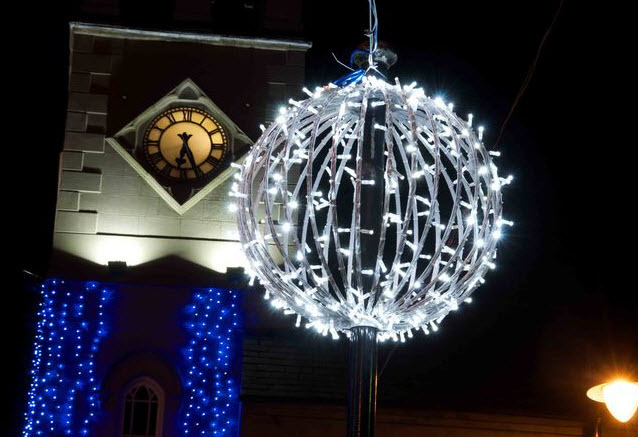 Alternatively, we have hundreds of motif designs to choose from for lamp posts, cross street features, floor standing LED lit sculptures, 3D hanging features of all shapes and sizes and many different LED light string products. Your local Account Manager will come and inspect your site with you, discuss your needs and offer proposals for your approval together with photographic simulations and costings. Our head office is home to our directors, designers and warehouse team whilst our experienced and dedicated sales managers are based across the UK to ensure you have a local project manager ideally placed to provide you with the best service.